So, You Need to Relocate Your CT Scanner…. Moving a CT Scanner from one location to another is never easy and always expensive. But sometimes it just can’t be avoided. You’re moving to a new building or building on an addition and your CT Scanner just has to be moved. At Atlantis Worldwide, we understand. And we’ve helped hundreds of clients prepare for this process. Our experts have created this simple list of tips to help you prepare for the big move. There are a lot of variables to moving a CT Scanner, including the cost. You’ll spend between $15,000-$25,000 to move yours, depending upon the distance the system will be transported.. Obviously it costs more to move a CT Scanner across a few states compared with across town. What type of power connections does your CT Scanner require? Is the incoming CT Scanner system air-cooled or water-cooled? What kind of HVAC and plumbing essentials are needed for cooling? What are the gantry dimensions, weight and table movements? Make sure there are sufficient clearances for all movements. What clinical function need to be considered as the layout is designed? Will the incoming system have clear egress and ingress from the old location to the new one? Consider door sizes, hallways and patient and staff traffic. There are a lot of moving parts to every move, so it’s important to establish a schedule. Hire an engineer or specialized service organization to execute your move. Special tools, dollies, packaging are needed so you don’t’ want to trust this process to an inexperienced mover. You’ll also need to work with a team that understands de-installation and installation procedures. Make sure your new space is ready for the move. It’s wise to have your installing engineer do a “room readiness” inspection of the new room well in advance of the actual move. Plan for 3-5 days for the de-installation, re-installation and calibration process, not including the travel time from point A to point B. Plan enough time for travel. It always takes longer to transport a CT Scanner than expected—especially if you’re moving it across the country. The experts at Atlantis Worldwide are happy to help you through the logistics of moving a CT Scanner. 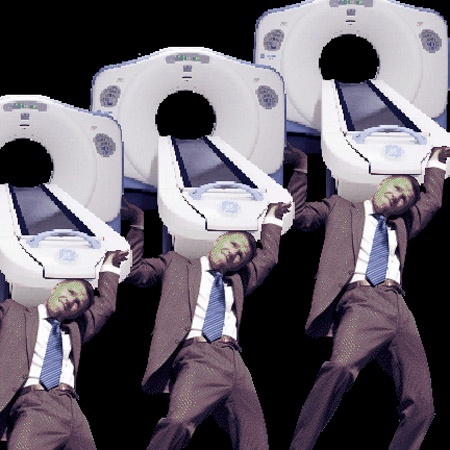 If you’d like to sell a CT Scanner you’re no longer using or purchase a pre-owned CT, get in touch with us, as well. We’re here to help!